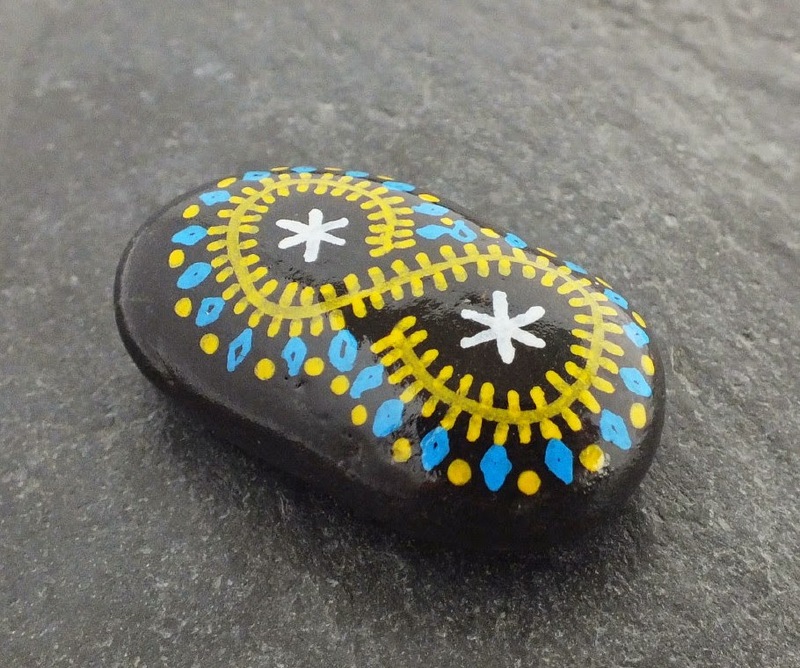 Recently, Alchemy Stones took the "show" outside, as we took part in the "Crafts by the Dock" event put on by the Port Townsend Arts Guild, as part of the annual Wood Boat Festival, here in our hometown of Port Townsend, WA. We were fortunate to share a booth with our good friends from Raison Ethique, and blessed with the sunniest and warmest weekend in Port Townsend in 2014! At times, it was almost too warm, and we were grateful for the booth location near the waterfront where at least an occasional sea breeze would cool us slightly. Participating in a show represented a bit of a departure from our normal way of doing things only through the Internet, so we went without a expectations ahead of time... and ended up pleasantly surprised. 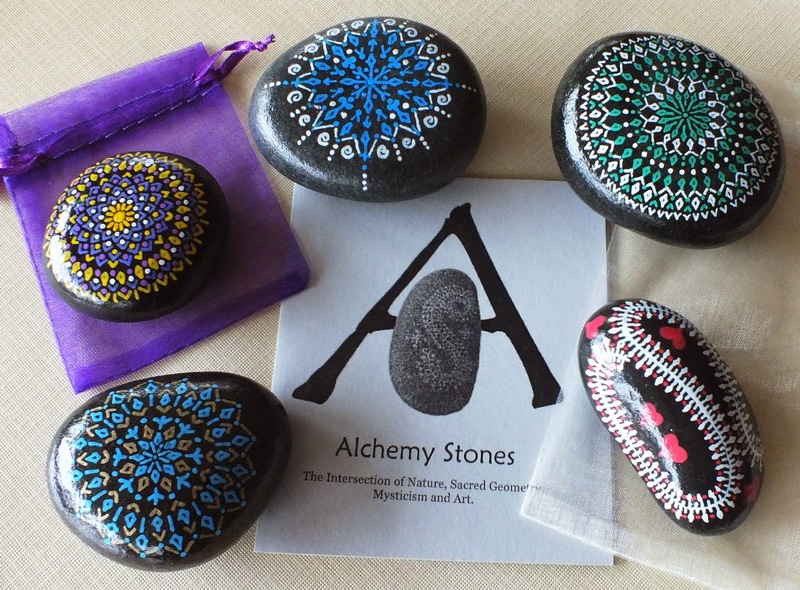 It was lovely to meet quite a few of our supporters, as well a numerous new fans who got to see Alchemy Stones for the first time. The event was quite well attended, and we were quite happy with the final results. We'd like to thank everyone who showed up, and we hope to see you again at future events! 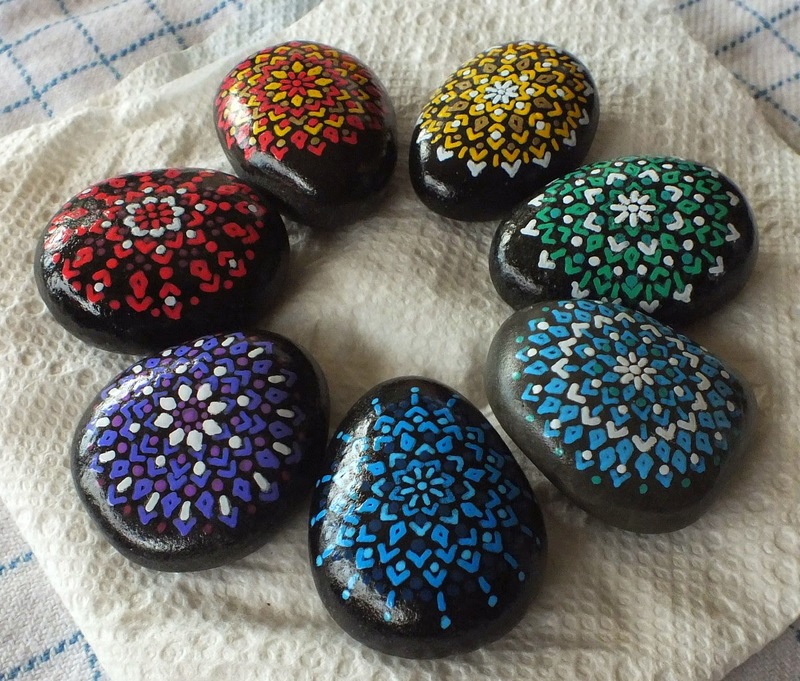 This weekend-- Saturday and Sunday, September 6th & 7th-- Alchemy Stones will be "on the road." But we are not going very far. We will be sharing a booth with our friends from Raison Éthique at the "Crafts by the Dock" arts & crafts vendor's market that takes place during Port Townsend's annual Wooden Boat Festival. The arts & crafts area is open from 10:00-6:00 on Saturday, and from 10:00-5:00 on Sunday. 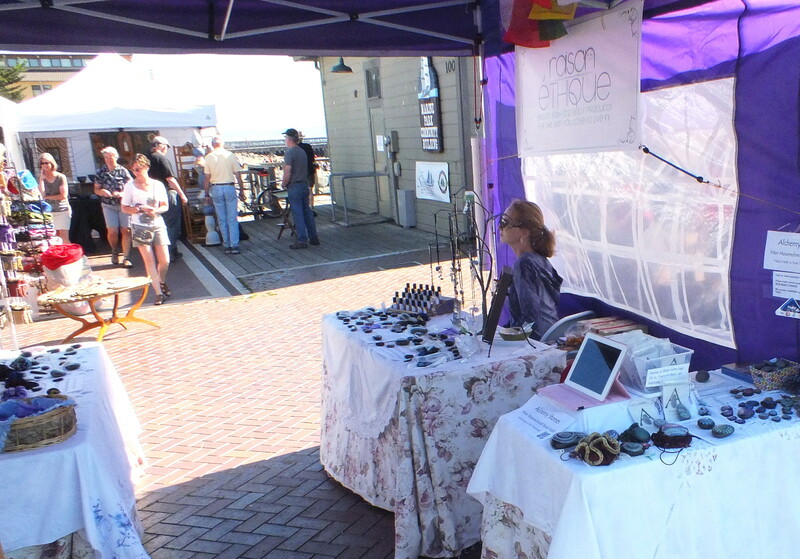 Booths are set up on Madison Street by City Hall... Madison is a side street off Water Street, which is Port Townsend's main waterfront avenue. If you don't feel like fighting the traffic and doing battle for one of the hard-to-find Port Townsend parking spaces, there's a transit bus shuttle service (and free parking) from the Park-and-ride lot behind the Safeway grocery store. If you live in the area, do stop by and see us! 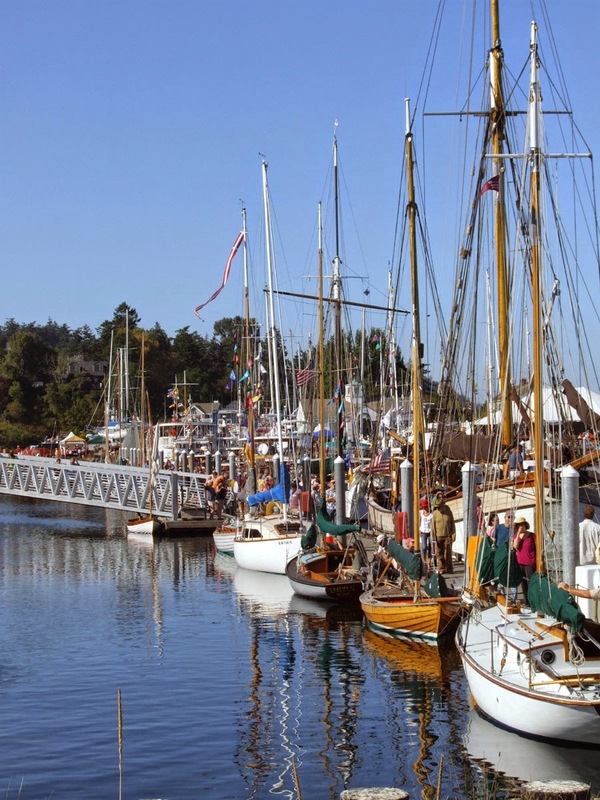 And if you're within driving distance, the Wooden Boat Festival is an interesting and colorful event that draws upwards of 30,000 visitors from the region and around the world... and it not "just about boats." There's food, arts & crafts, music and more! The weather forecast calls for a bright and sunny weekend, so it's a great opportunity to visit historic Port Townsend. 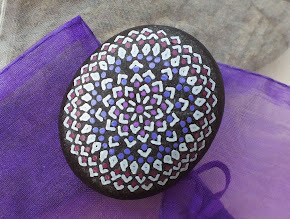 We have lots of new pieces ready for the show-- many colorful designs; over 300 different to choose from! 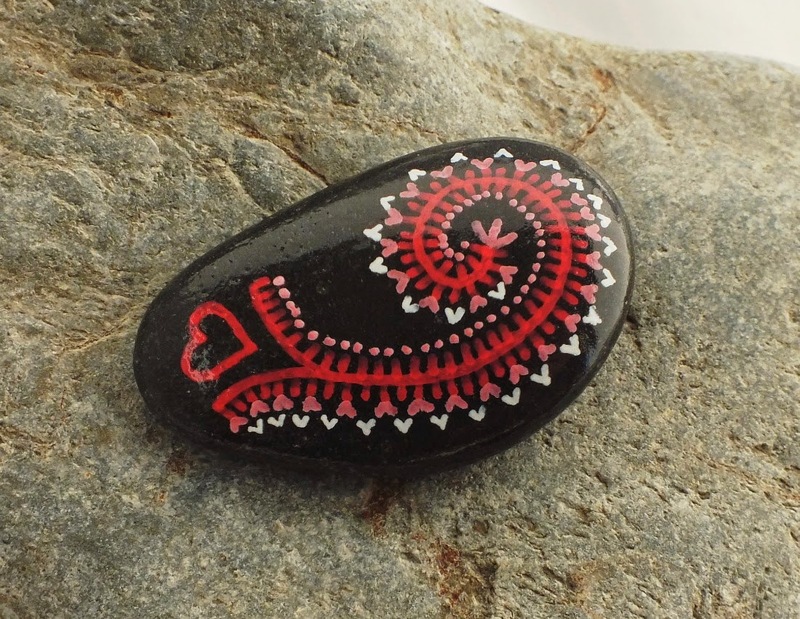 I'm often trying something new with my stone designs, and in response to recent requests for "little gifts" we're pleased to announce the arrival of "Petite Alchemy Stones." Well, as the name suggests... they are smaller, generally about 1" (25mm) to 1 1/4" (31mm) in diameter. 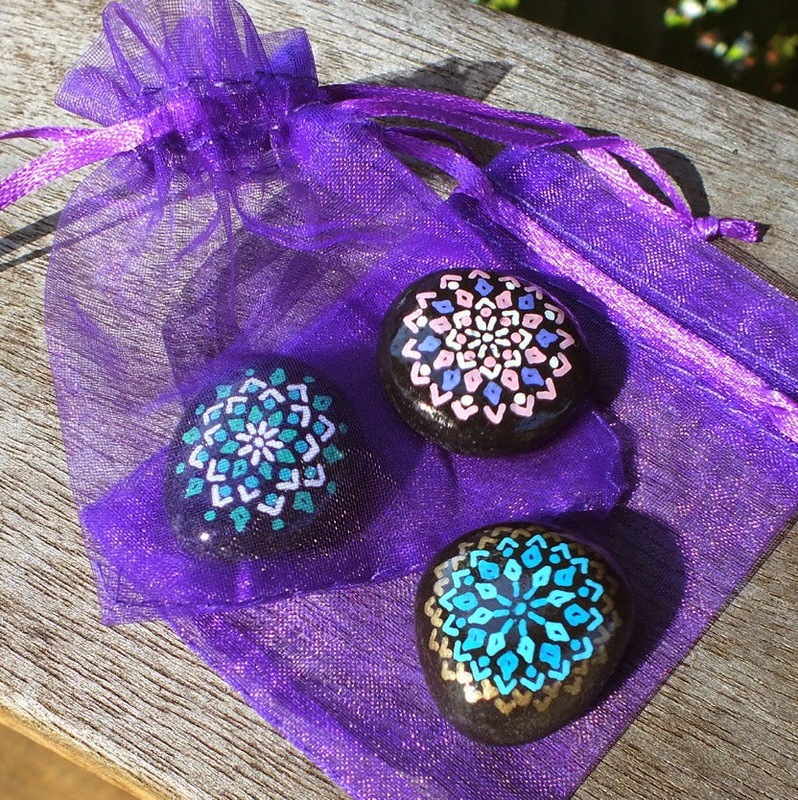 They come in a small purple gift bag, with a smaller version of our "Alchemy Stone History" booklet. 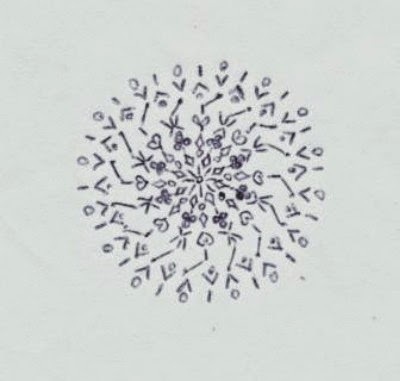 They are signed and numbered like all Alchemy Stones... but the designs are generally somewhat simpler than their larger counterparts. What's "different" about them is that we sell them "assorted," for $8.00 each, or $85.00 for a dozen. For one thing, we wanted to make Alchemy Stones available to as many people as possible. 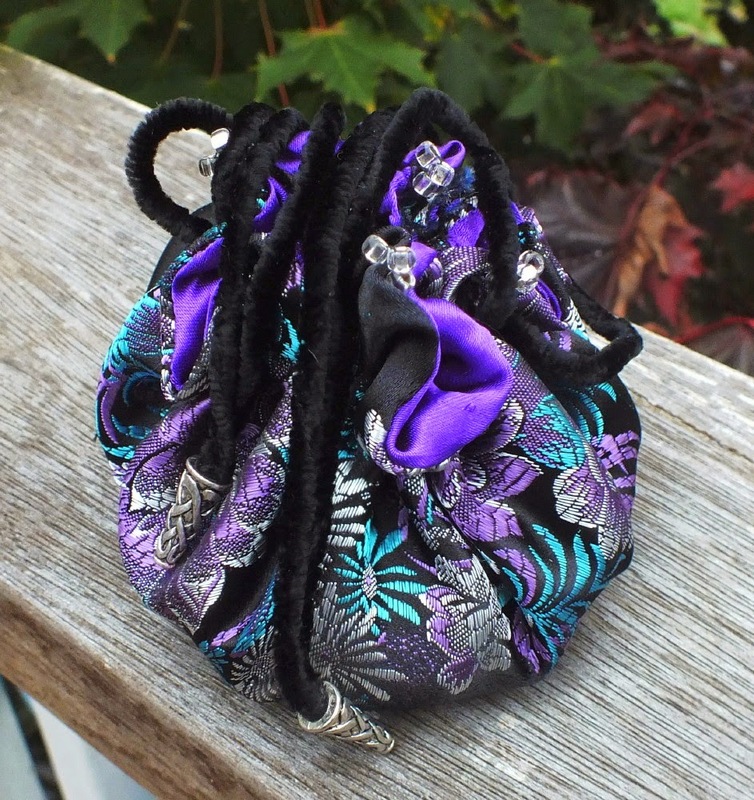 We also wanted to accommodate those who might be buying multiples... to use as grooms or bridesmaids' gifts, or perhaps as giveaways for an event. All in all, we feel it's a pretty outstanding deal, all around. 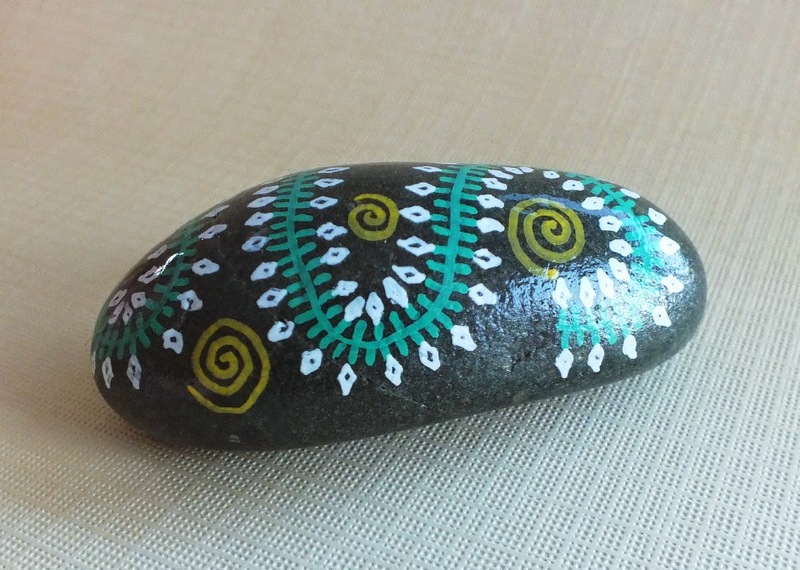 You get an authentic hand made art item with a metaphysical "meaning," in a presentation bag... all for under $10. 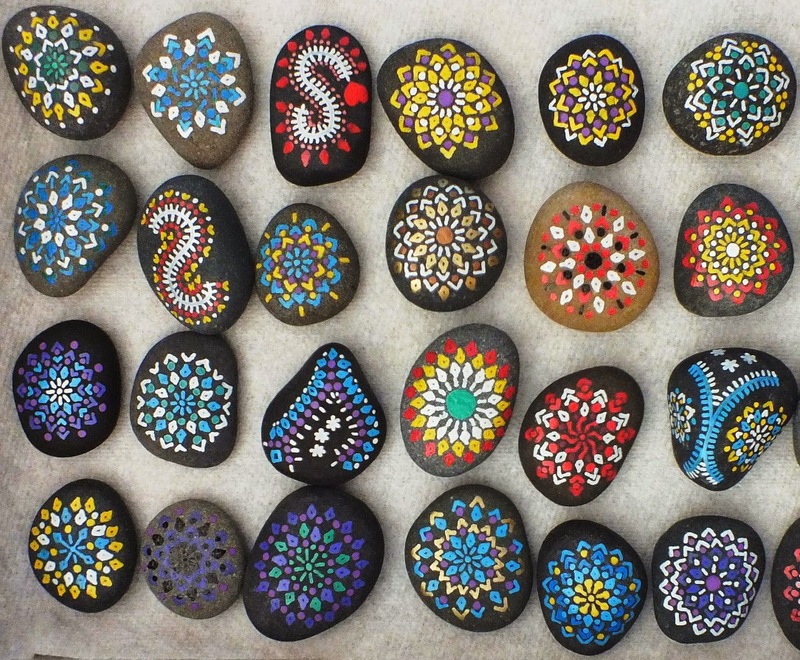 They are small and colorful and each one unique. The original idea, however, was inspired by our love of labyrinths. Sarah and I are lifetime members of the Labyrinth Society, and we have both been interested in labyrinths for many years. Sarah even uses labyrinths as teaching tools in her workshops, and we have a labyrinth of our own, in the back yard. One of the traditions of walking a labyrinth is that you leave a "gift" or an "offering" at the center of the labyrinth... a sort of token or thank you for the walking meditation you just enjoyed. 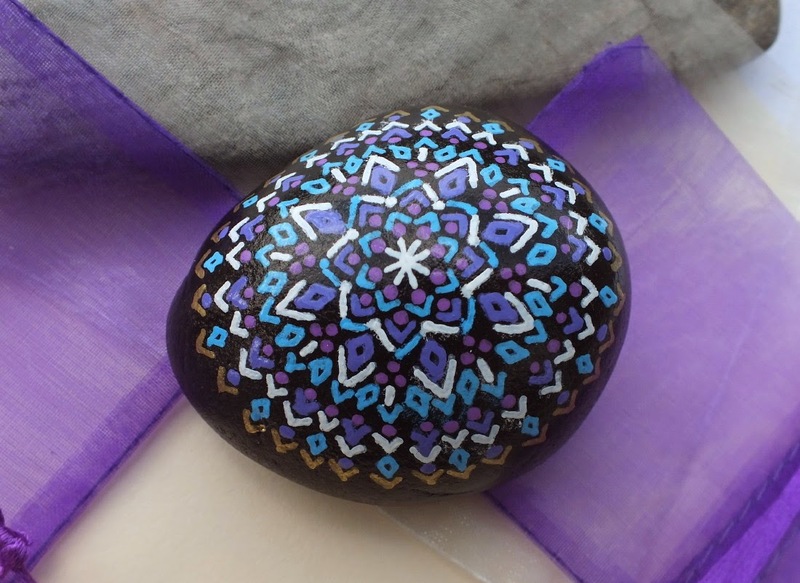 People leave all manners of things as "labyrinth gifts," and I decided that I would make some smaller stones we could bring with us and leave at any labyrinths we visited while traveling. This was not at all "commercially" inclined. As we talked about it some more, it also sounded like a great idea for other people who wanted to leave a unique and "spiritual" offering. 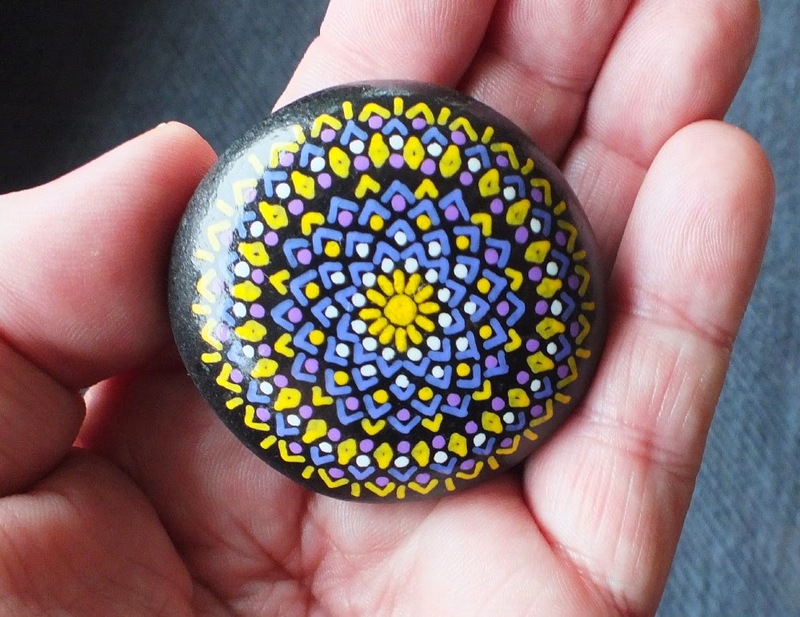 In some ways, these are also our own gifts or offerings to people... given the time and effort that goes into each stone vs. the price at which we sell them, it's really not a "money making proposition." However, I felt compelled to make these, and to make them part of our selection. At this time, they are "by request only," and only available "assorted," but we promise to make you up a colorful selection!